The Supreme Court looks set to tackle the issue of whether adding fluoride to water supplies amounts to medicating the consumer to reduce tooth decay. The court has reserved its decision on an appeal by a group that opposes fluoridation of water supplies, New Health New Zealand. 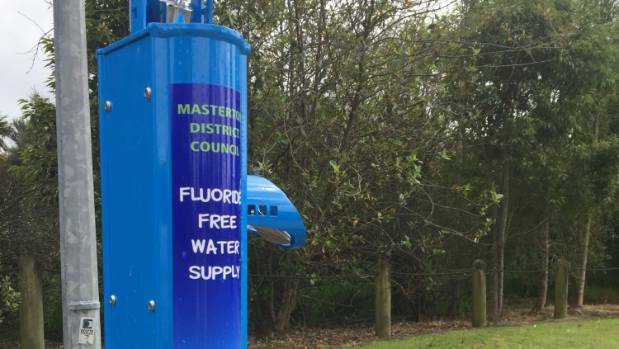 New Health appealed against a decision that South Taranaki District Council should be allowed to put fluoride in the water supplies of Waverley and P?tea, two areas with poor oral hygiene. One of the planks of New Health’s appeal was the Bill of Rights Act guarantee that anyone had the right to refuse to undergo medical treatment. Fluoridated water supplies delivered medication for a therapeutic purpose, New Health’s lawyer, Mary Scholtens, QC, said. The right to refuse medical treatment was subject only to such reasonable limits prescribed by law as could be justified in a free and democratic society. For the minister of health, Crown lawyer Austin Powell argued fluoridated water was a public health measure, not medical treatment. But there was point at which treatment and dietary additions came close to diverging, he said. If the court found that adding fluoride was authorised, reading several provisions together, then it would be prescribed by law and the real issue would become whether it was justified, Powell said. The council has defended the science behind fluoridation and said fluoridated water was not medication, its lawyer Duncan Laing said. Fluoridating water was not delivering medical treatment, but even if it was medical treatment, it was legally allowed and was a minimal intrusion, he argued. The Ministry of Health encouraged local authorities to fluoridate, after evaluating the scientific evidence and commissioning its own studies. It had been looked at on human rights grounds, and by a commission of inquiry. “There is a substantial body of evidence that fluoridation is a safe and effective way of reducing widespread disease,” Laing said. New Health has said that fluoride added to the water is not the same as medical-grade fluoride found in fluoride tablets and toothpaste. New Health said the water additive was a product of the fertiliser industry, but Laing said that was not always the case. Additives to drinking water had to comply with comprehensive water standards and it was not credible to say it added dangerous or inappropriate elements from the fluoride. New Health said contaminants such as mercury and arsenic came from the fluoride added. Until 2002, local authorities had a clear power to add fluoride to water supplies. A law change removed the specific reference to it but a parcel of provisions, including a general duty on local authorities to improve, promote and protect public health, continued the power to fluoridate, Laing said. The court has been told that just under half the population lives in areas where fluoride is added to the local water supply. A proposal to change the law to give district health boards the power to make decisions and give directions about the fluoridation of local government water supplies in their areas is still before Parliament.